Tips for choosing the right freight forwarding company for your shipping. If you are a new importer or exporter, selecting the right freight forwarding company or logistics partner like Sidoman Investment Group, or changing your current freight forwarding company can be a tough call. Every industry has different expectations of a freight forwarding company. For instance, the expectations of an automotive company are obviously going to differ from a company that specializes in garments. Before you can even start looking for the right freight forwarding company, it is important for you to understand exactly what you need. This means determining your preferred mode of transport, the specific services you require, as well as the details of what you plan to ship before establishing contact with any forwarding company. You should put together your list of requirements such as speed delivery, special packaging requirements, anticipated time frame, volume, and so on so as to be clear about exactly what you need. Conducting research into the industry will let you know what your freight forwarding company can and cannot do for you, as well as what you are responsible for and what they are not. Research requires that you read several blogs and articles to understand industry terms and the regulations required so that you are not lost in the process. When looking for the best freight forwarding company, you only need to consider three things: experience, experience, and more experience. The international shipping industry is cutthroat and it is not the easiest business sector in the world to thrive in, which means that thousands of companies are created, but many never last. A freight forwarding company such as Sidoman has been in the business for years, which means that your customs needs, warehousing, and routing problems can be taken care of before they occur. 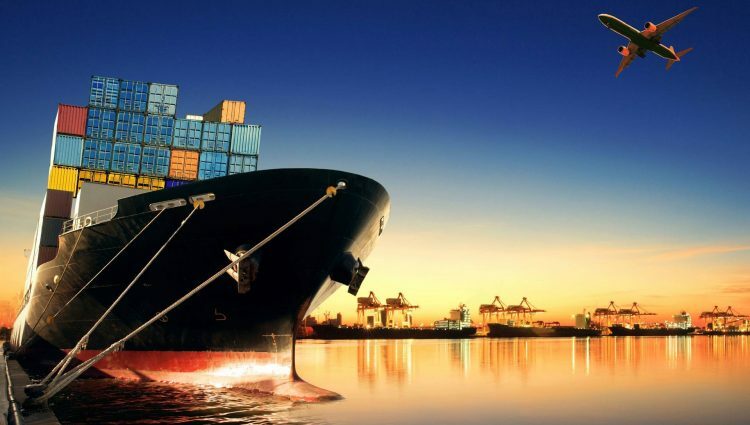 Years of experience also means that the forwarding company has a wide business network and extensive business relations, which are instrumental for conducting international shipping successfully. Your preferred freight forwarding company should have a strong network of business connections all over the world. However, more importantly, the freight forwarding company should have the right connections in the country/city of origin and the destination for your imports or exports. If you are exporting and importing to and from England, the freight forwarder’s network and connections may not matter if most are concentrated in China. Ensure that you ask about your freight forwarder’s connection and years of experience in the specific locations that interest you. Sidoman Investment Group enjoys a vast network and conducts shipping from virtually any region in the world. This wide network of overseas agents guarantees a smooth flow of information that allows you to know where your products are and if they will arrive in a timely manner. Can the freight forwarder offer the exact services you need? The right freight forwarding company for your needs should be able to take care of more than just air freight or road freight for your imports and exports. Instead, the company should be able to take care of every aspect of your international shipping. If a freight company offers a wide range of freight options, it says a lot about that company’s network and connections. You may also need the company to offer supply chain value added services such as shipment tracking and cargo insurance for enhanced efficiency. References are vital because they enable you to see the customer satisfaction rate. If the freight company you select has not received any favorable reviews or any reviews at all, consider this a red flag. For instance, Sidoman Investment Group has a review and testimonials page where you can go through the references and reviews online. Your chosen freight forwarding company should have the capacity to communicate well and promptly with the customers. Even before you subscribe and pay for a service, try and test out the customer service responsiveness through live chat, emails or phone calls. How long does it take the freight forwarding firm to respond to a rate request or answer questions? The level and quality of service that you receive matters because the manner in which a company takes care of your needs speaks a great deal about their capacity to pay attention to your shipments. Don’t settle for an inferior choice just because their rates are cheap; the choice could cost you dearly especially when there is a problem with your shipments. Is your chosen freight forwarding company part of a professional organization? Reliable freight forwarding companies also have their own special professional networks. Before you pay for anything, find out whether the company is part of any trade association, freight forwarding network or any other applicable circle. Membership in such organizations goes a long way in helping to prove a high level of professionalism, efficiency, financial solidity and authenticity. Aside from years of the experience, your freight forwarding company should also be financially stable. You definitely do not want to end up with delayed shipments because the freight forwarding company has financial problems. As such, it is always vital to check if your chosen company is financially stable. Freight forwarding companies are required to attain a freight broker bond, which is offered after a complete assessment of that company’s financial status before they can operate. Financial stability also means that your forwarding company can compensate you accordingly should problems arise on their side. Once you have ascertained that the internal workings of the forwarding company are stable and in order, then it is time to do your research. It is vital that you research your preferred company in detail to assess if the company offers the quality of service that you require. Research might mean getting familiar with the company’s terms and conditions, as well as some of the common terms that are used in the industry. If you follow the tips above, you should have no difficulty finding the right freight forwarding company for your needs. Need to hear more about picking the right freight forwarding service? Contact us today! This article is quite informative. It will definitely help me with finding a good freight forwarder, I will share this article with my friends on facebook and twitter. Thanks for sharing! I totally agree that it is important to choose a freight forwarding company that can communicate well and promptly with customers to make sure that your concerns are going to be handled efficiently. My mother is looking to find a shipping company to deliver her package of goods to our relatives in a different state. It's important for her to make sure that she can constantly communicate with the shipping company to track the package regularly once she ships it. For me, an excellent customer service means that you and your concerns are going to be well taken care of. I will make sure to share your blog with my mother so she can get some tips. Freight forwarders are providing crucial services in the transportation industry. Right freight forwarding company can be judged by their past working experience and credentials. Thanks for these tips. Thanks so much Najma! Glad you liked the article.